In a groundbreaking settlement, the case of the largest farm animal rescues ever in California has finally come to a close. After two hen farmers abandoned 50,000 hens without food at a facility near Turlock, Calif. in February 2012, animal rights advocates sprang into action, saving about 4,500 of the hens, nursing them back to health, and placing them in adoptive homes. Workers saved the hens from miserable conditions, including a "pit of manure" in which several drowned. Now, the groups who participated in the rescue, Animal Place, Farm Sanctuary, and Harvest Home Animal Sanctuary, will receive compensation for their efforts from the farmers, Andy Cheung and Lien Diep of A&L Poultry. The Animal Legal Defense Fund (ALDF) represented the groups in court, securing a $5,000 payment from each defendant to the groups. Cheung and Diep still face criminal prosecution for felony animal cruelty, which could result in up to three years in prison and fines of up to $20,000. While the payout is small, the animal advocates see it as a warning to other factory farmers. 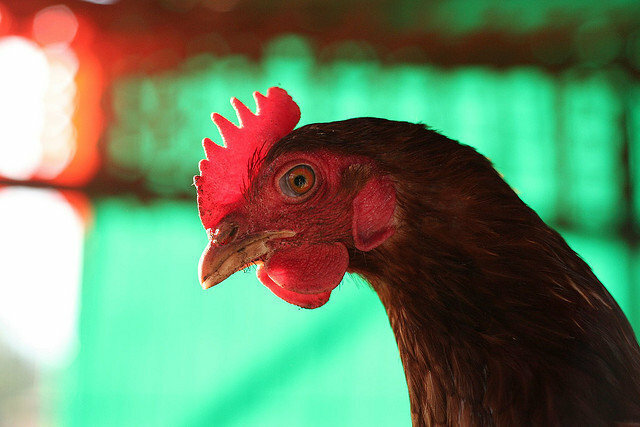 "The egg industry is rife with routine animal suffering, but today's settlement ensures that those responsible for the tragedy in Turlock are permanently out of the business of raising animals," Matthew Liebman, senior attorney for ALDF, said in a statement. The incident, during which thousands of birds were left to starve, was even the subject of a short documentary titled "Turlock." You can watch it here.